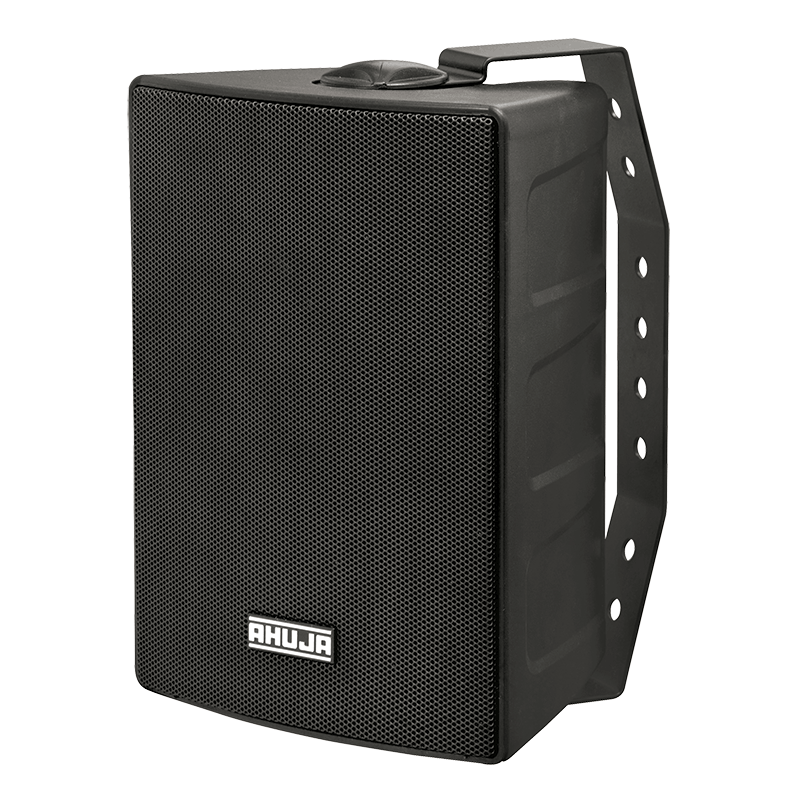 High fidelity 2-Way speaker system in compact & attractive Black or White plastic housing. The suffix B & BT denote Black cabinet, and W & WT denote White cabinet. Comprises of a Water Resistant PP coated cone Woofer, a Titanium Dome Tweeter and a 2-way Crossover Network. ASX-612B and ASX-612W are low impedance 8Ω speakers. ASX-612BT and ASX-612WT are meant for use on 100V line with power taps of 60W, 40W, 30W, 20W &10W. ‘U’ type bracket for convenient & firm mounting of the wall speaker. Ideal for various indoor and outdoor applications in Airports, Banks, Schools, Hotels, Hospitals, Showrooms etc.